Posters and pictures - used at the LRSC's centenary conference in January 2017, depicting 100 years of road safety in the Capital. A new app has been unveiled that enables cyclists in London to log unsafe locations by pressing a button on the handlebar of their bikes. ‘One risk is too many' is the message from a new TfL campaign which attempts to make drivers realise the consequences of bad decisions. 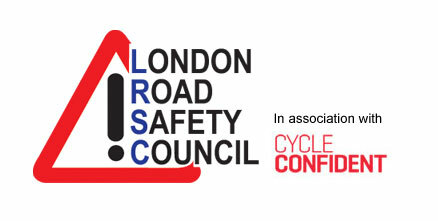 Watch LRSC President James Cracknell during the 'Question Time' session at the 2016 National Road Safety Conference. TfL launched this campaign in a bid to reduce the number of motorcyclists killed or seriously injured in the Capital.